While Baltusrol Golf Club’s Alex Beach was teeing it up in his first major at the PGA Championship at Quail Hollow Club, several other Section Professionals such as former PGA of America president and Liberty National Golf Club’s Managing Director Derek Sprague, Black Oak Golf Club’s Head PGA Professional Bryan Jones, and Section Professional Mike Yevchak, co-owner of Signs by the Sea and his wife, Kathy Yevchak were also around the grounds for the week. This is the first year Sprague is a member of the New Jersey Section. He previously served as the PGA of America president from 2014-16. Sprague returned to the PGA Championship this year serving as the honorary president. 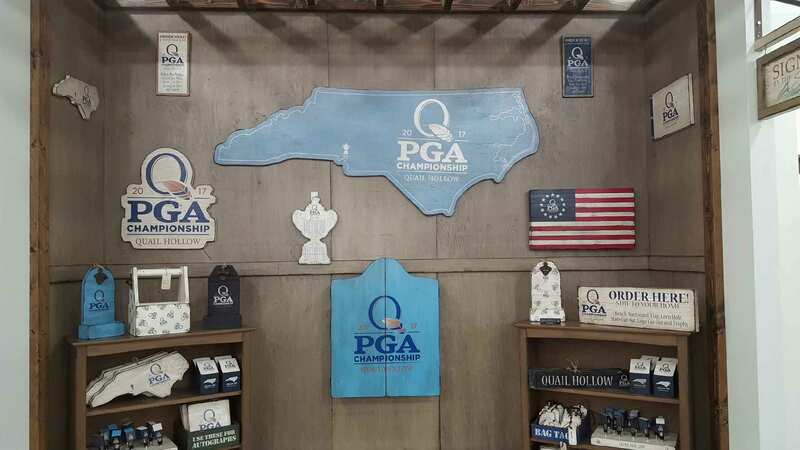 Sprague was at Quail Hollow Club from Tuesday to Thursday the week of the year’s final major. In his first year at Liberty National, Sprague has been busy preparing for the President’s Cup, which will be held there September 26 - October 1. Before joining the New Jersey Section, Sprague was a member of the Northeastern New York Section, and says the Section Professionals have been welcoming in his first season. 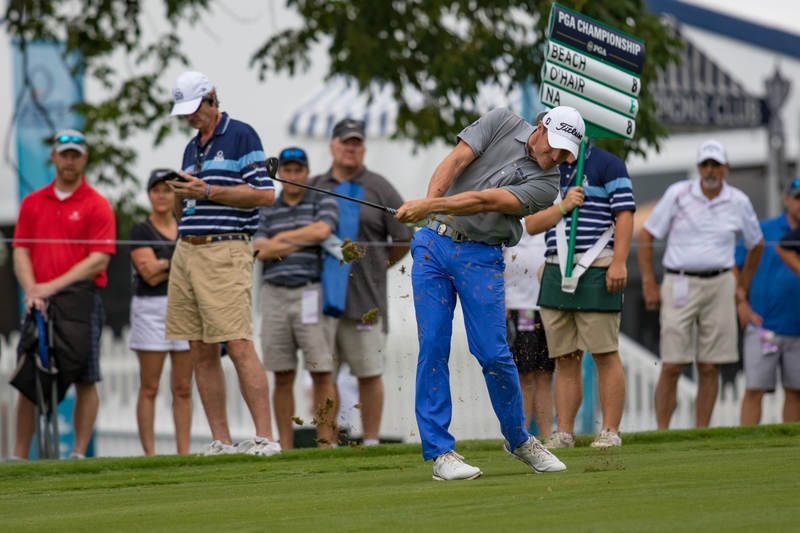 Though Sprague did not see Beach the week of the PGA Championship, Mike Yevchak was able to speak with the 28-year-old PGA Assistant Professional at Baltusrol while being on-site with his wife, Kathy, serving their brand, Signs by the Sea. The Yevchak’s provided gifts for the 20 club professionals who successfully qualified for the event this year. The idea originated last year at Baltusrol and they hope to continue the trend. “We’ve already sent an email to the [Midwest Section] trying to get it locked up for next year,” Yevchak said. Yevchak said this year, more customers ordered special pieces. A few PGA Tour players visited Signs by the Sea that week, including past winner (2002) Rich Beem. “He came in, ordered a dark cabinet and one of the past champion trophies that we had made,” Yevchak said. 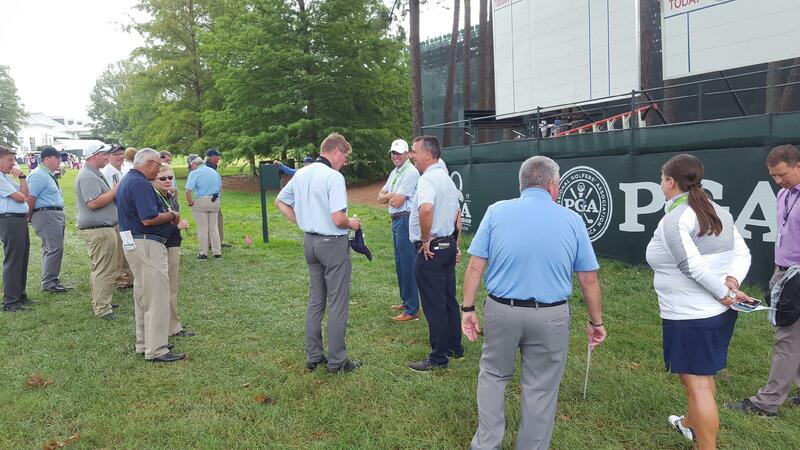 Jones spent a majority of the week on the course while serving as a rules official for another PGA Championship. Jones, who also served as a rules official at the Ryder Cup last year, has been a member of the PGA of America Rules of Golf Committee since 1996 and was named the Vice Chairman of the Committee in 2013. Beach tried soaking in the memories for his first major championship, getting there Saturday before the crowds started flowing in. He played a practice round with former World No. 1 Luke Donald, and was paired with PGA Tour players Sean O’Hair and Kevin Na for the first and second round. Though Beach missed the cut, he says that he played well and will take away experience from playing against the top players in the world.